It was rainy yesterday and cloudy today. 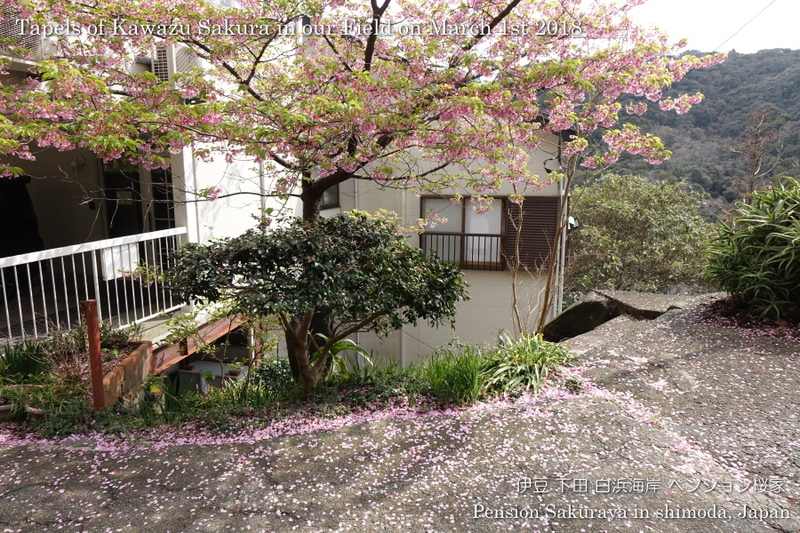 The tapels of Kawazu sakura in our field were fallen by the rain and the wind. 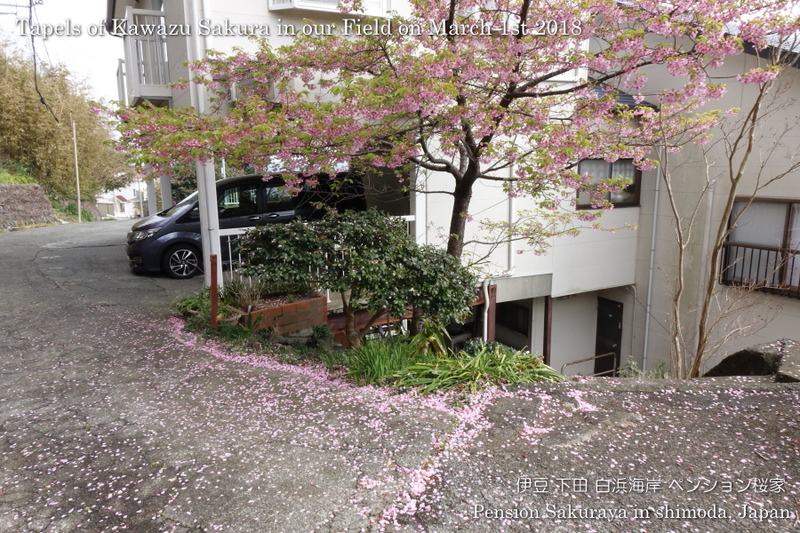 This Kawazu sakura tree started to bloom in last January, but the blooming season are now getting close to the end. 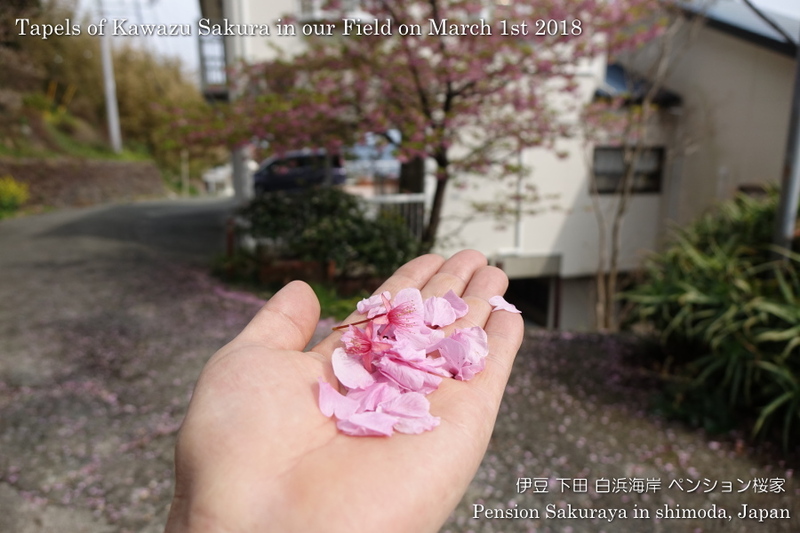 This entry was posted in Flower, Pension Sakuraya on 2019年3月1日 by izusakuraya.